Valiant Entertainment is proud to announce that Shanyce Lora has been named to the position of Social Media Manager. In her new role, Lora will oversee the expansion of Valiant’s social media footprint on Facebook, Twitter, Instagram and more, and contribute to the company’s further expansion beyond the printed page and into emerging media with short-form live-action and animated content for a digital-first audience. 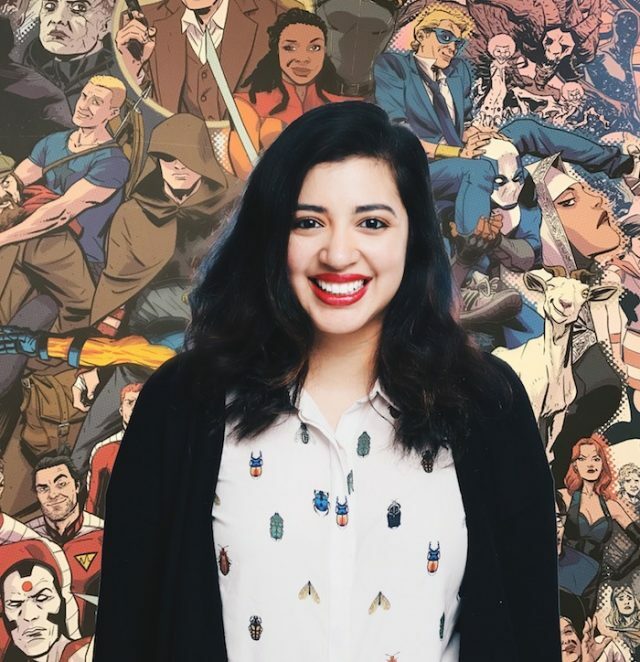 Lora joined Valiant as Social Media Coordinator in February 2017, with previous experience that included roles at Samsung 837 and AOL/Huffington Post. She holds a B.A. from Brooklyn College. On the heels of the recently sold-out launch of BLOODSHOT SALVATION #1, Lora’s new role will be instrumental in supporting key promotional initiatives behind two of Valiant’s most anticipated releases of the year: NINJA-K #1, the first issue of a new ongoing series by renowned writer Christos Gage(Netflix’s Daredevil) and astonishing artist Tomás Giorello (X-O MANOWAR) in November; and QUANTUM AND WOODY! (2017) #1, the first issue of a new ongoing series by rising star Daniel Kibblesmith (The Late Show with Stephen Colbert) and eye-popping artist Kano (Immortal Iron Fist) in December. Then, in May 2018, the march toward Valiant’s most impactful and ambitious comic book event to date will begin in HARBINGER WARS 2 #1 by New York Times best-selling writer Matt Kindt (X-O MANOWAR), Academy Award-nominated writer Eric Heisserer (SECRET WEAPONS, Arrival) and blockbuster artists Tomás Giorello (X-O MANOWAR) and Raúl Allén (SECRET WEAPONS). Lora is just the latest addition to Valiant’s growing stable of marketing and communications staff – a department headed by Vice President of Marketing & Communications Hunter Gorinson that also includes Director of Digital Media & Development Joshua Johns and Marketing & Communications Manager Victoria McNally.